Hard-core Bulldogs fan Wil Anderson was a special guest on this week’s episode of Freedom in a Cage. 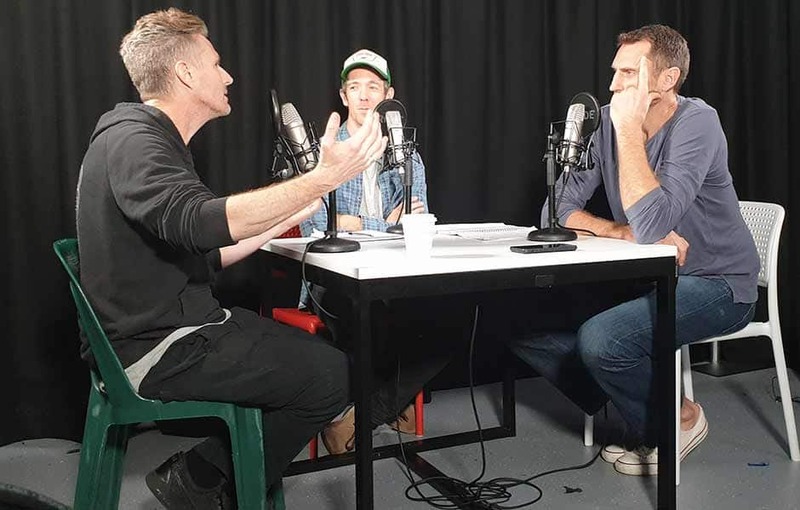 Stand-up veteran, Triple M breakfast co-host and hard-core Bulldogs fan Wil Anderson was a special guest on this week’s episode of Freedom in a Cage. Anderson joined Bob Murphy and Chris Anstey for a wide-ranging chat about the ups and downs of being a comedian and a Dogs supporter, how he came to choose the red, white and blue, his Bulldog heroes, working with Eddie and Darce on radio, and his new comedy show, Wil-Informed. 0.26 – Introducing Wil Anderson. 1.49 – Reviewing the Round 3 loss; Wil’s Comedy Festival shows and how they’re affected by the Bulldogs’ performances on the weekend. 4.15 – A worrying pattern emerging with the start of Bulldogs games and its silver lining. 7.03 – Thoughts on Liam Picken and the embodiment of belief. 8.53 – Wil’s memories of Heyfield; choosing the Bulldogs; the influence of Brad Hardie. 11.48 – Dealing with the schoolyard as a young Dogs fan; dreaming of success; living the 1989 Grand Final through the eyes of Hawthorn fans. 13.57 – Wil’s Bulldog heroes; staying connected while travelling the globe. 17.57 – Wil the Bulldog game watcher. 21.42 – The life and pressures of being a stand-up comedian; being a veteran of the industry and a role model and nurturing the youngsters coming through; conforming to the social norms of the day. 40.05 – Wil’s Comedy Festival show, Wil-Informed; ‘punny’ titles for Wil’s future shows; comparing Twitter followers.